How many episodes of Airwolf have you seen? 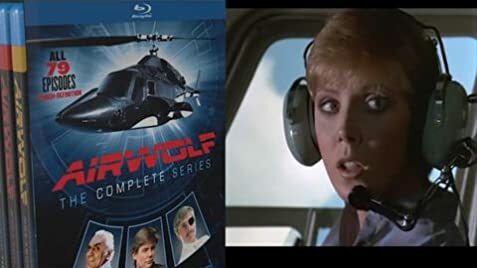 Dominic Santini: [after they've flown Airwolf into the Upper Atmosphere] Now, would mind telling me why the hell we did that? Stringfellow Hawke: I just wanted to see if it could be done. Q: -What unit was Hawke in during the Vietnam War? Q: -How come they were both serving in the same unit? Q: What is Hawke to Dominic? 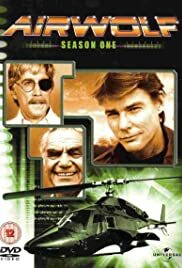 Airwolf - a show a head of it's time? In my opinion - the answer is definitely yes. I'm not speaking of the monstrous super-copter, or at least, not mainly of it. The character of Stringfellow Hawk, who is the main attraction of the show, is one you might find in nowadays shows. Not a shallow hero, but rather a complex and deep one. In fact, I found Hawk's character to be very similar to another, more recent one - that of FBI's legendary agent Fox Mulder. I'm sure many eyebrows must be raised right now but think of the following - Both characters are eccentric, isolated and have only one close friend whom they trust, both Hawk an Mulder are obsessed with a missing sibling and their lives are centered around that issue. Both have their own truth and won't hesitate risking their lives for that truth. Need I say more? Jan Michael Vincent was the perfect choice for Hawk's roll - Hawk and Vincent are one. JMV brought a lot of him self into his character, the two are one, practically inseparable. In on of the discussions forum I'm participating in, a question was raised regarding the possibility of making an Airwolf movie. I said that I hope no such movie will be made because I can't see anyone entering JMV shoes as Stringfellow hawk. All of the forum members agreed. All in all, I think that what made Airwolf the great show it was, is JMV and of course we must not put down Ernest Borgnines contribution. Airwolf will always remain a classic.